One of the most important decisions a parent can make is the choice of a preschool for their child. At Child's World Preschool, we understand the love and concern that goes into this decision. We provide a developmental program, one that supports and allows children to grow to their best potential. We encourage you to visit our school and look forward to getting to know both you and your child. Child's World preschool was founded in 1972 by the University United Methodist Church and has been an integral part of the Irvine community ever since. We are a non-profit, faith-based program created to be an outreach to the local community. The Child's World Preschool community is committed to active, reflective, creative learning that takes place in a safe environment enriched with encouragement and guidance. We celebrate the love of learning and are committed to nurturing high self-esteem and respect for others. To inspire lifelong learning, advance knowledge and strengthen our communities. To introduce faith by experiencing the love of Christ through tangible everyday experiences and interactions within our preschool and church community. We believe all children need and deserve a safe, loving place in which to learn and grow. We regard all children as unique individuals. We celebrate and value the diversity of each child's cultural and ethnic background. Our program emphasizes the development of strong self-esteem and feelings of independence and competence. We value the learning experience that is unique to each child. To enhance that experience we offer low student to teacher ratio (1:6) in each classroom and small groups (12 students per class). Our teaching staff are experienced and educated in creating dynamic learning environments that appeal to young learners. 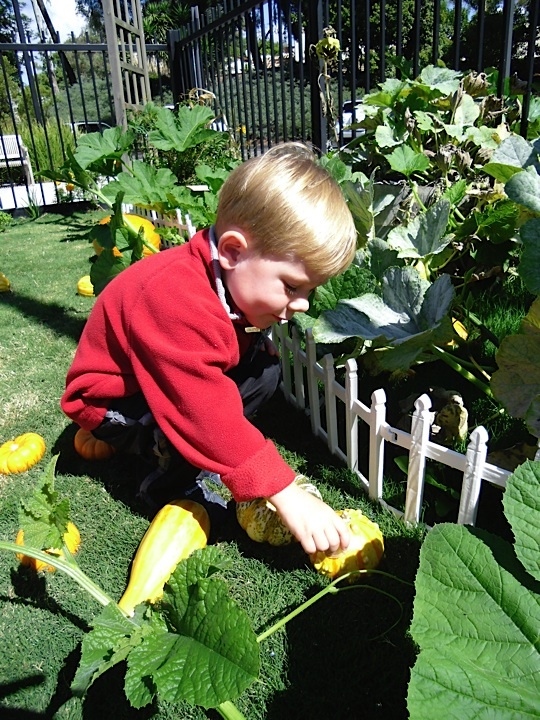 We offer emergent curriculum that continues from the classroom into our outdoor environment. We work closely with Irvine Unified School District to ensure Kindergarten readiness for each student graduating from our program. We conference with parents three times throughout the year to ensure that all areas of development are addressed. Child’s World Preschool offers an Early Morning Drop-Off program that runs from 8:00am-9:00am Monday through Friday. Reservations must be made in advance. Children enrolled in our 9:00am-11:30am programs may attend our Lunch Bunch from 11:30am-12:30pm Monday through Friday. A nutritious lunch must be packed for your child on the days they attend Lunch Bunch. Reservations must be made in advance. Children attending our 9:00am-1:00pm programs may attend our Extended Day Program that runs from 1:00pm-2:00pm Monday through Friday. Children will be picked up from their classrooms at the 1:00pm dismissal and taken to the Extended Day class. Reservations must be made in advance. Brian A - “The teachers and the staff are absolutely fantastic! My wife and I have sent both our boys to Child's World Preschool and are huge advocates of their teaching style and playtime learning. I love it so much that I find myself volunteering there often when they need help setting up events. From my very first visit to the school, the first thing I was amazed with was the playground. It is large and has all of the bells and whistles that one would expect in a playground and then there's a whole lot more. They grow strawberries, sugar snap peas, carrots, tomatoes and everything else you can imagine. The children are then encouraged to touch and learn all about them. In addition, the playground toys change all the time and encourage children to experiment and learn about building using PVC pipes, water flow with water wheels, and all kinds of imagination learning toys. The teachers and staff have become friends of ours. They are nurturing and caring to all of the children and have a fantastic philosophy of 'playtime learning'. My boys have learned so much from the teachers. Child's World Preschool will leave a lifelong lasting impression in all of our minds. A - “We want our kids to hit their cognitive milestones, learn how to socialize, get along, and be ready for the next stage of their journey. Every teacher I encountered at Child's World was happy to communicate with me about my child's progress, reassure me when needed, and support my child through their development and exploration. My youngest son will be finished with preschool in a few months and will go on to kindergarten in the fall. I can honestly say that the last day I pick him up and take him home from Child's World will be one of my saddest days as a mom. Child's World Preschool is a very special place because children know they are loved here. Thank you, Child's World, for the pivotal role you have played in my children's lives. I will be forever grateful." E. Lama: "I love this preschool! My son has had the privilege of having Ms. Jeanine, Ms. Jenny, Ms. Jaime and Ms. Kelly and they have all been awesome! My son is getting ready to go into kindergarten and I believe he is well prepared. On the weekends my son counts down the days until he can go back to school. They make school so much fun and really go out of their way to make school a positive rewarding experience. Although they consider themselves a developmental preschool I think they do a nice balance of academics too. It's so cute they are constantly changing up the toys on the playground. One day they will have babies with soap and scrubs, another a wood shop station, colored rice with shovels, flower potting... They also do motor development, cooking projects and music. I am very happy with our selection and plan to have my younger children attend this preschool as well." Sunday | March 17th, 2019 | 10:00a.m. to 10:30a.m. Monday | March 18th, 2019 | 6:00p.m. Tuesday | March 19th, 2019 | 6:00p.m. Thursday | March 21st, 2019 | 6:00p.m. Registration begins on-site at 6:00p.m. A family representative must be on site. A sign in sheet will be available at 5:00p.m. Please place your name on the list before entering the facility. Registration fees are due at time of registration and are non-refundable. Registration fees may be paid by check or cash. Checks should be made out to “Child’s World Preschool”.